The love of money is so gripping, it can cause us to wander away from God and lead us into all kinds of trouble, where we have broken hearts with many sorrows. And we don’t just break our own hearts but also those near to us. In this episode, I speak with Mike, who spent his trust fund money on gambling, money that was intended for his education. I talk with Paris, who hasn’t been to the casino recently but still feels the temptation. And he almost lost his wife because of his gambling addiction. 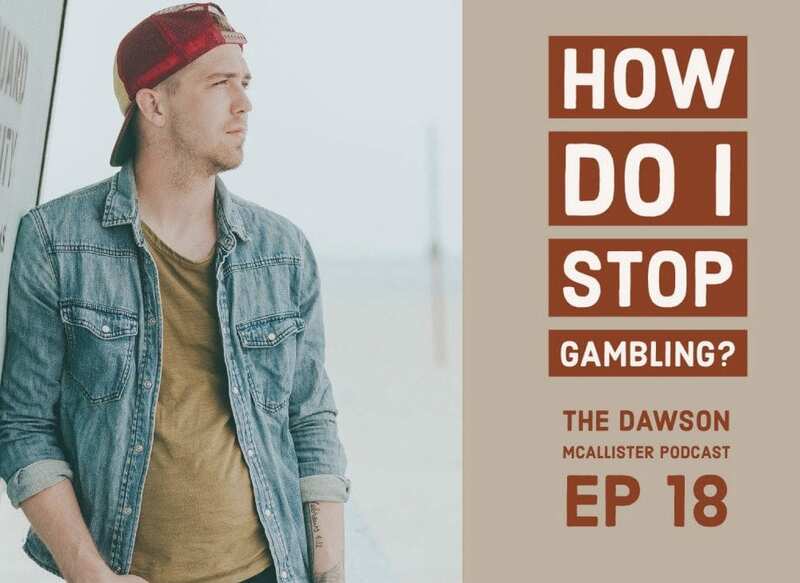 Finally, I speak with David, who is losing friends and family over his addiction and is spending money he doesn’t have, even gambling during his breaks at work. It can take a while for gamblers to hit the wall so to speak, because most are optimistic by nature, easily fooled by their own reasoning. They think everything is going to work out just fine. They live for the high of winning. Gamblers can easily become delusional. They hold beliefs which contradict reality. They reason within themselves, next time I play, I’ll hit the jackpot and everything’s going to be great. Always chasing the big prize, while slipping and sliding into more and more debt. The gambler is chasing a fantasy of winning big. At some point, the gambler loses his grip on reality. The buzz to the gambler is that winning hand, which will set everything straight. Some addicted gamblers are extremely arrogant and narcissistic. They think people who don’t play are chumps for not having the guts to take a chance of walking away with easy money. The buzz of winning is awesome. Winning will bring me massive thrills. I’ll win more than I lose. Even if I lose, I’ll win next time. Seeking the great thrill is an awesome escape. I’m not breaking the law. I’m smarter than the game. How can it be so bad, if it feels so right? I’ll figure out how to pay my debt. My family will put up with my addiction. What I’m doing isn’t bad, it’s not like I’m doing drugs. What does God say about gambling? Why does he want us to stay far from it? And so, the gambler is never satisfied, ever. What the gambler wants is more thrills, more games, and more money. He can never get enough. He is forever craving, wanting even more but never satisfied. If you love money, you will not love God. If you love God, you will soon despise the love of money. Unless the gambler turns to God and turns away from the love of money, he will forever despise God. God uses the consequences of our actions to force us back to Him. God is bigger than your gambling problem, no matter how big it is. It’s not just a matter of telling the world you want to reset but it’s the ongoing hard work it will take to get free. You can change your love of money to a love for God and He will help you if you ask. You can find freedom from your addiction. You can contact the National Council on Problem Gambling by texting, calling, or chatting: https://www.ncpgambling.org/help-treatment/national-helpline-1-800-522-4700/. Find a Gamblers Anonymous Meeting near you: http://www.gamblersanonymous.org/ga/locations. Consider joining a Celebrate Recovery group. These groups are a safe place for anyone struggling with any kind of hurt, hang-up or habit. Find a support group by state: www.celebraterecovery.com. Join me for my next episode on lying. The more we speak truth, the happier we will be yet, sadly, everyone lies at some point and some people even become compulsive liars. Compulsive liars lie even when it would be easier to tell the truth. In this episode, I talk with Lee – who is trying to come out of the liar’s closet, Jason – who is living a lie and his lies are killing him, and Elli – who has willingly bought into her boyfriend’s lies for a very long time.